1 lb. 3 lb. 5 lb. 10 lb. 55 lb. $1.09 to $39.99 & FREE Shipping on orders over $59 $35. 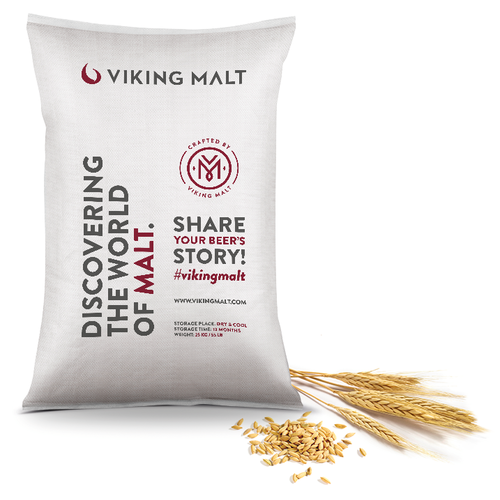 2.1-3.2 °L - Viking Pale Ale Malt is made from 2-row spring barley. High degree of modification promotes easy processability. Flavour contributes specially to malty, sweet and nutty notes. 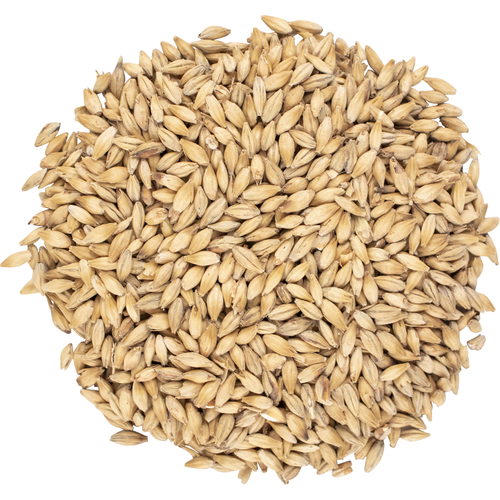 Ideal malt for ales and special lagers. The colouring power of Pale Ale Malt is not too strong, which makes it also suitable for subtle colour correction of regular lagers. Tryin' it out. Seein' what all the talk is about. Great deal, plus I strongly prefer European malts. Great price for a base malt. The malt was referred by a fellow brewer. It was a key part of an incredible oatmeal stout! Good base malt, terrific price!!! Price was right. May use again. Malt was a little darker than I expected. I ended up short of my OH target. Probably need to use and extra pound if using in the future. 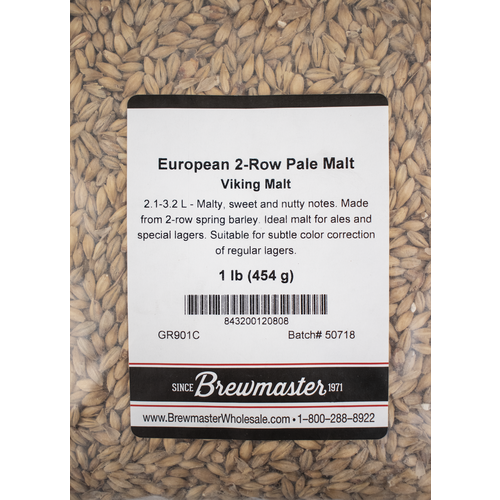 This malt is certainly comparable to other 2-row malts with a nice, light color and flavor. I love it.Made a SMaSH and had good conversion. Very clean brewing malt with flavor as advertised. 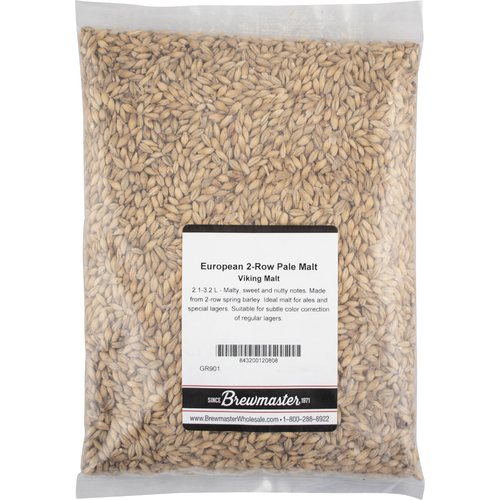 Have brewed an ESB, NEIPA and a Blond with this malt. May produce a bit lower yield but at this price it is a very good value and it's a clean tasting malt. This is the first time I've used this brand of malt. In the past, I've always used either Briess or Great Western from MoreBeer. I've brewed twice now with Viking doing the exact same recipe on my HERMS electric brewery, and the efficiency seems to be about 8-10% lower. I typically get 85-90 percent efficiency, but its seems like i'm only getting maybe 75-80 with this malt. Both brews were identical recipe to one that I've brewed probably 30 times. Just brewed today with it but got lower efficiency then normal. not super bad. Color seemed good. Will update more.